The author Louise Koch used to be very ill and green smoothies played a very important role in her recovery. 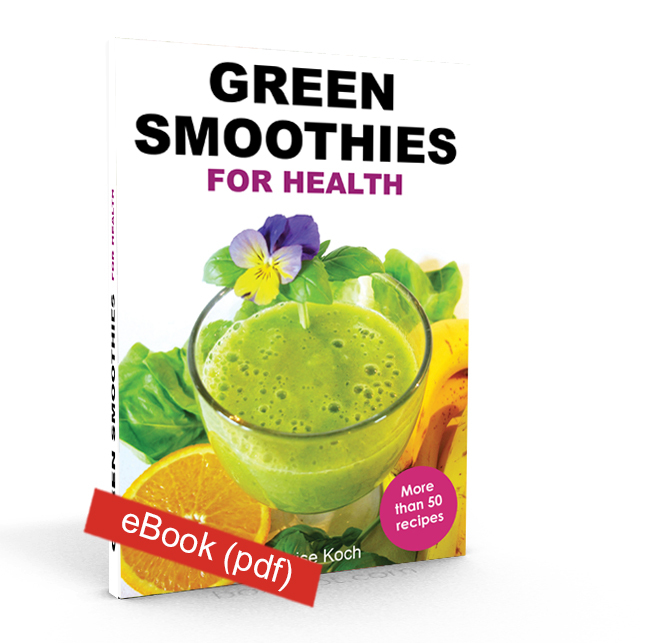 In her eBook Louise shares the secrets behind the healing effects of green smoothies and you will also get more than 50 delicious recipes. Making green smoothies daily will bathe your body in large amounts of vitamins, minerals, fibre etc. and your body will simply love it. Within a short period of time most people start to feel the changes first in the form of a natural detox and afterwards as a lot of benefits on your health. The eBook does not exist as a physical book but this pdf can be use on your tablet, phone or computer, or you can print it out.